QR Technology in Fast2SMS & How To Use For Contacts Registration? QR is the short name for Quick Response. It looks like a barcode. A QR code is a two-dimensional square barcode which stores encoded data. Japan invented the QR technology. It allows encoding of 4000 and more characters in a two-dimensional barcode. The reason it is called quick response is that it can be scanned very quickly by a smart phone. The attractive feature of QR code is the speed and space which is unmatchable. 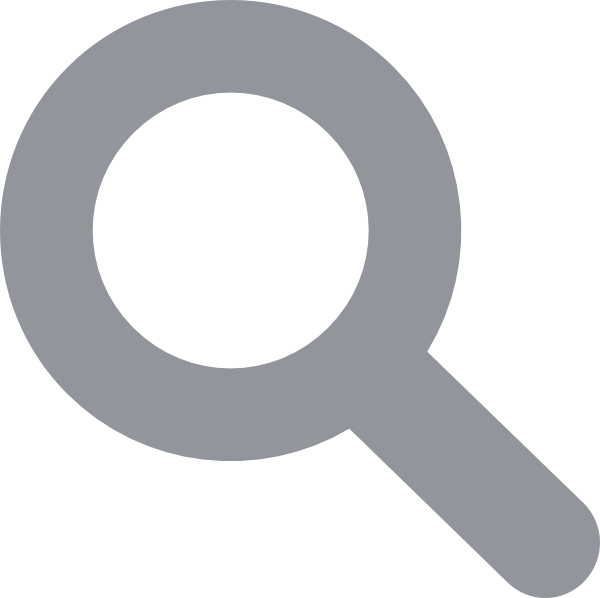 The QR is used to store large amount of information in very less space. It can be easily captured and saved. It can store massive amount of data in comparison to a standard barcode which has less capacity than the QR. The data is stored in a digital format. The QR technology is a very unique and creative digital invention. It is the most famous 2D barcode in the world these days. No matter what your profession is, whether you are a businessman, blogger, youtuber, shop owner etc, QR code will work as an efficient and effective tool for you. The impact of using QR code is enormous in every field. What is the role of QR in Fast2SMS? QR is a unique and special feature offered by Fast2SMS. Till now this feature is not provided by any other Bulk SMS service provider. Our primary motive is to give our user, comfort and provide maximum return on their investment. In this feature you can create contacts of your clients/customer and store them for your reference. Let us look into detail on how you can use QR code. Example taken here is that of a computer class. Suppose you run a computer class. And you want to store the database of your students. It can be easily done using the QR feature in a fast way. First you need to login to our website Fast2SMS. If you don’t have an account you can sign up. The below image shows the login page of Fast2SMS. Here you have to enter your mobile number and password to login. After signing in, you have to click on the address book in the left menu bar. In that page click on QR group option at the top of the page. After selecting the QR Group, you will have to select the group name and group URL Name.It is completely your wish whichever name you want to assign. Here we have taken the example of computer class. Then you can click on create QR. There is an optional feature for you, if you want to add list in your form then click on the click here button to create a list. If not then you can simply click on the create QR button. If you click on the click here button for adding list in your form then the screen appears like the one below. Here you can ask questions to filter your contacts like gender, city name etc. Then click on the create QR button. Now the QR gets created. All the options will appear like group name, number of contacts, date, etc. You can even take a printout of your contacts and excel sheet of your contacts can also be created using this feature. The QR link will be shown as below. You can share the link with anyone, to get their name and numbers. 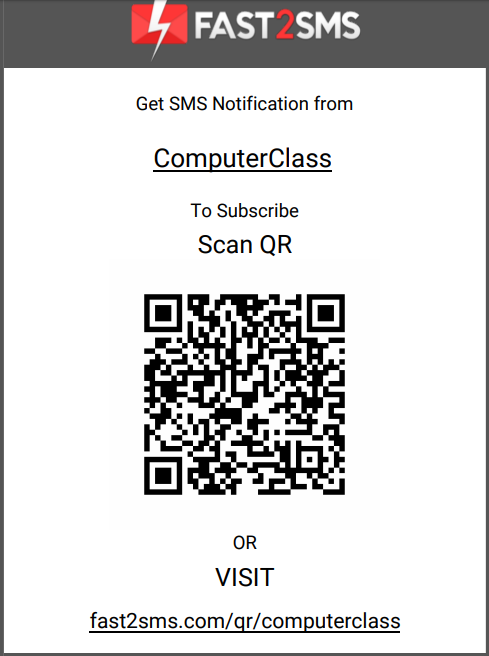 Here fast2sms.com/qr/computerclass is our link which is to be shared. 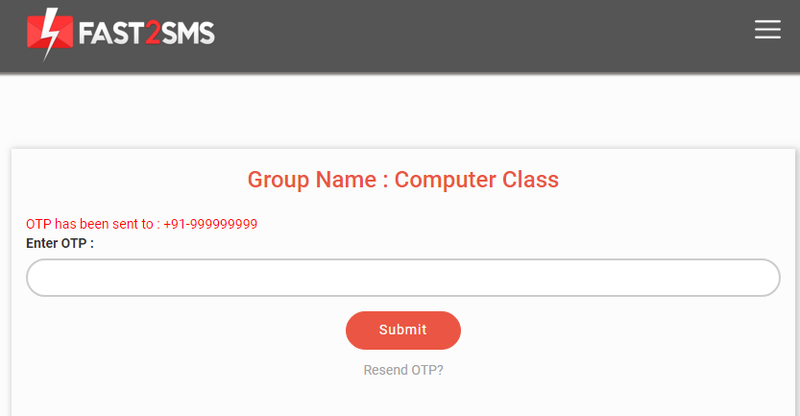 When anyone opens the link fast2sms.com/qr/computerclass, they have to fill their name and number and click on the submit button. Next they have to enter the OTP sent on their number. Now if you have created the optional list form then that question box will be displayed. It is shown in the below image. Next they have to check the box to receive SMS notifications and click on the Submit button. After clicking the submit button the information gets stored and is ready to be viewed. Following message will appear after registration. This is the process of creating a QR in Fast2SMS. It is very easy to create and simple to use. Do visit our website Fast2SMS for creating a QR right now. Use our bulk SMS service for getting exciting deals and offers.